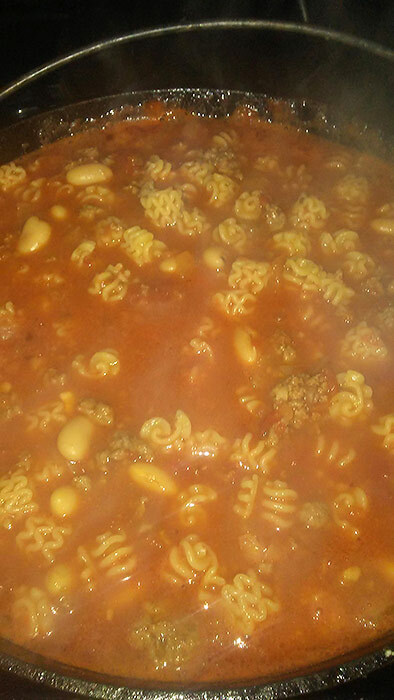 I thought I would share an easy and hearty soup recipe since we are finally experiencing winter. Growing up my dad always made Pasta Fazool which is the inspiration for this recipe. I change it to fit my family and to use the meat we already have stocked in our freezer. I think of it as homemade Chef Boyarde (weird, I know). It is certainly kid test and approved! 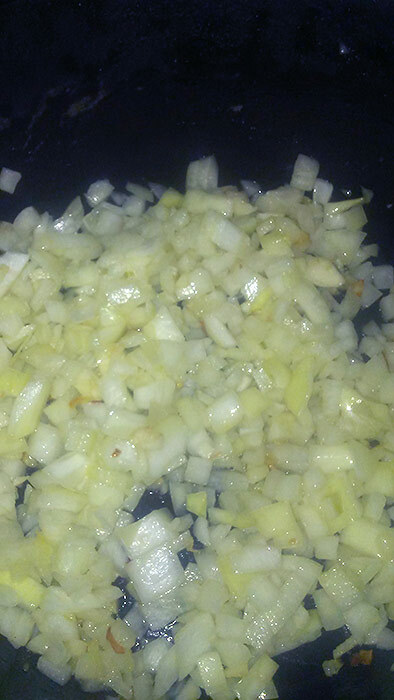 Sauté up your diced onion and garlic in a little extra virgin olive oil seasoned with a little salt until the onions are transparent. I like to cook mine on low heat so they don’t burn. Put on a pot of water to boil for the pasta. 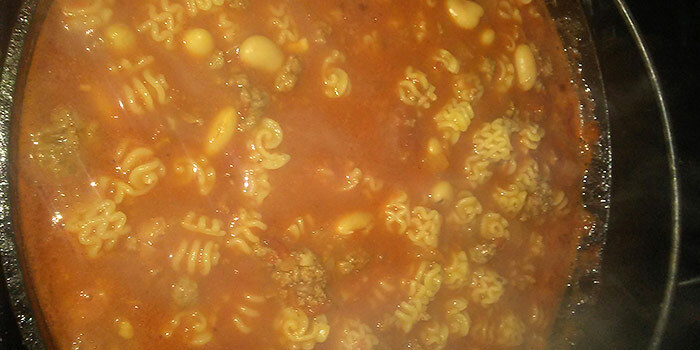 Use a smaller pot, one that will cover the pasta with water leaving about an inch of water on top. 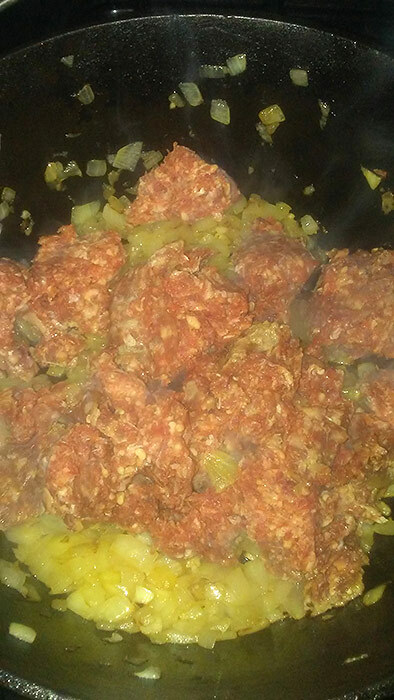 Add you ground beef and season with salt, pepper and any other desired seasonings. 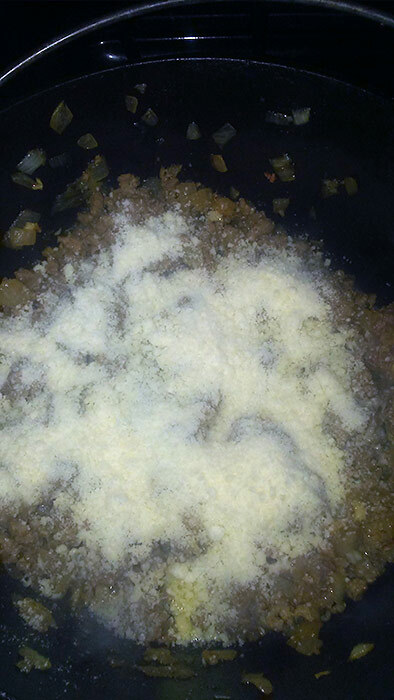 As your ground beef cooks add you cup or so of parmesan cheese. 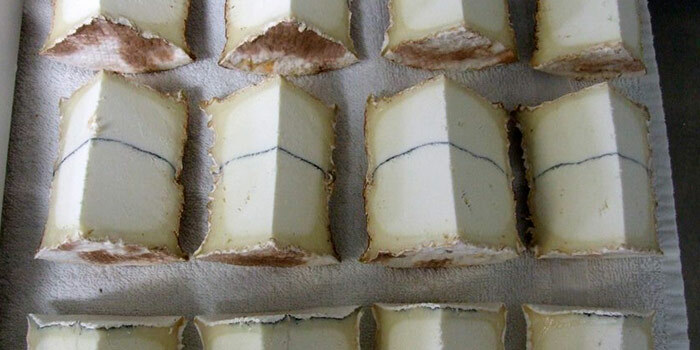 You want to season each layer as you go. 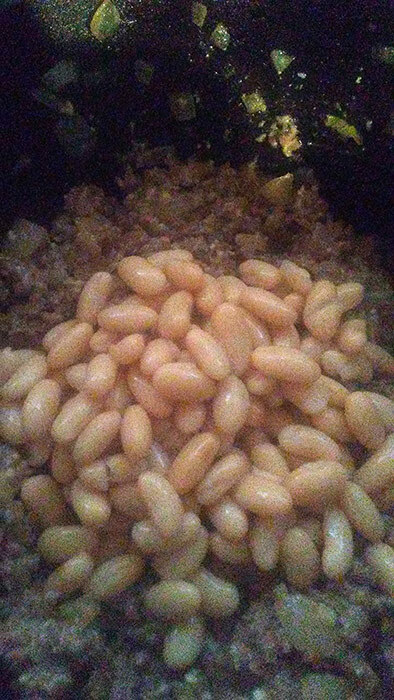 When your ground beef is browned and mixed well with the onion and garlic, drain and add your beans and mix in. 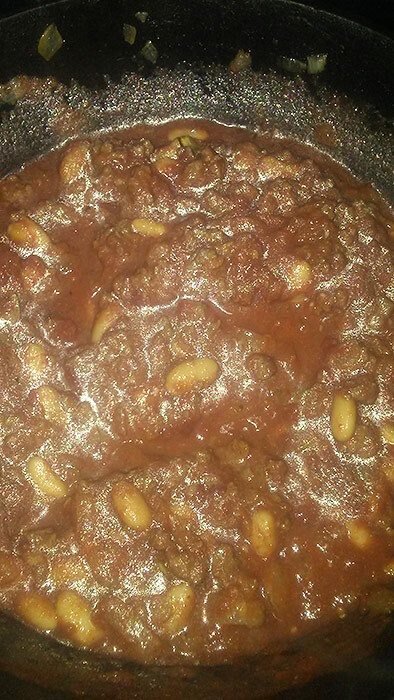 Quickly add your can of crushed tomatoes, stir and turn to a simmer. Cook your pasta for about half the amount of time. 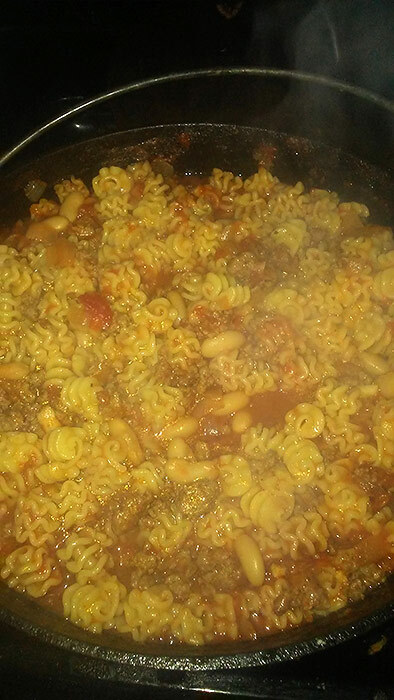 After about 4 minutes dump your pasta and water (trust me) into your sauce mix and let it simmer for about 10-15 minutes. 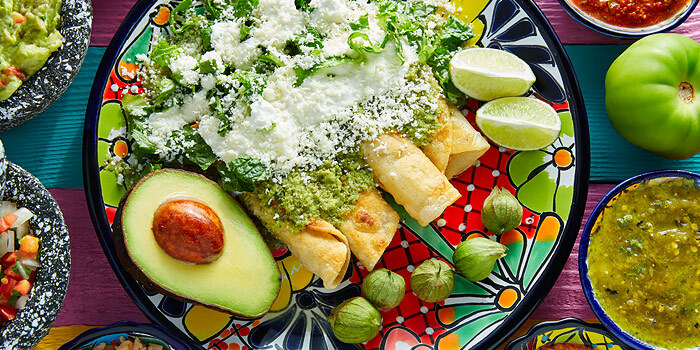 Serve with grated cheese and crushed red pepper. 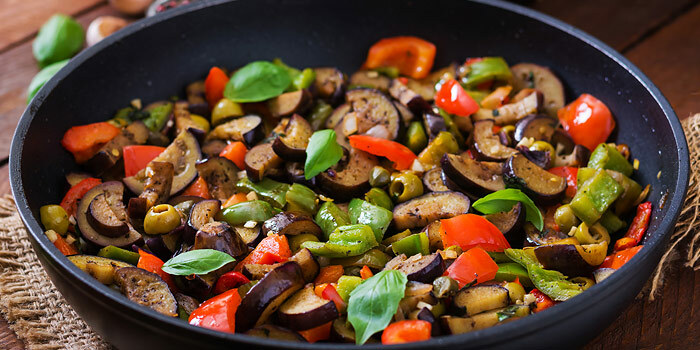 I hope this recipe helps you stay warm! If you think of a good name for it let me know. It is a dish worthy of a name!